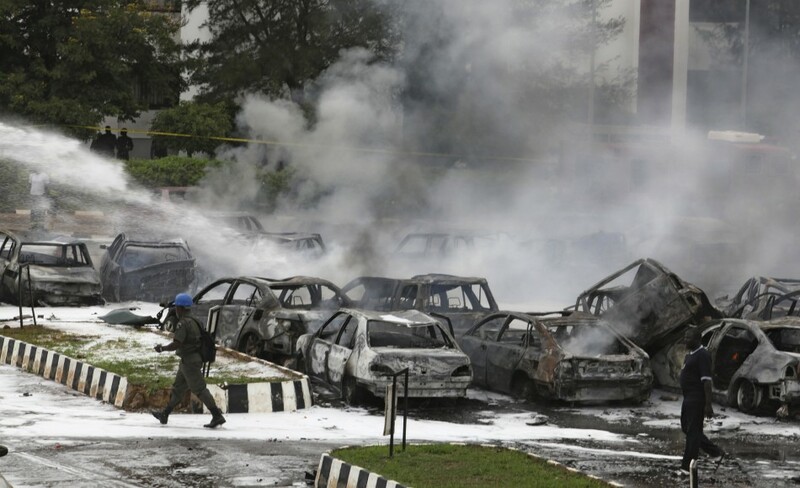 Boko Haram has become synonymous with terror in Northern Nigeria. There are indications however that Boko Haram may have many faces. In fact, from a careful analysis of newspaper reports, what emerges is the possibility of the existence of four different bodies all acting in the name of Boko Haram and all pursuing different agendas. 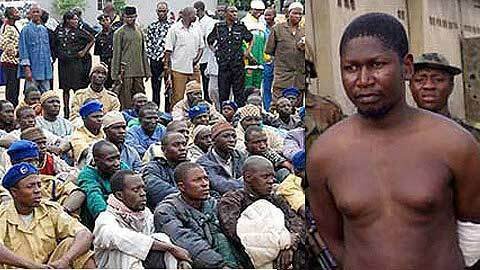 The first face of Boko Haram seems to be the real one. The existence of this Boko Haram was confirmed by Tony Momoh in an interview with Nigeria’s The Sun newspapers on Sunday. While denying that Boko Haram is the military arm of the party he chairs, the Congress for Progressive Change (CPC) he went on to say that the organisation exist to fight social injustice. He explains that the demands of Boko Haram are the bringing to justice the security forces that killed their leader extra judicially. The violence perpetrated by this arm of Boko Haram is targeted at the Police, Army, other security agencies and government institutions. Other targets include Northern governors who are Muslims and refuse to rule according to Islamic sharia law and who are also corrupt. The more interesting revelations in the Tony Momoh interview is that this sect of Boko Haram claim that they have never bombed a church, or never robbed a bank because they have enough money to finance their activities. Momoh view seems to suggest that this Boko Haram sect has no hand in the killings of Southern Christians in Northern Nigeria. Tony Momoh’s revelation tallies a lot with the reports by BluePrint Newspapers which he quotes a lot in his interview on Boko Haram. BluePrint Newspapers, which seem to have the confidence of the Boko Haram sect, was the first paper to publish a detail expose of the suicide bomber that carried out the attacks on the Headquarters of the Nigerian Police force showing pictures and giving details of the suicide bomber’s identity and life before death. Also the initial target of Boko Haram killings after their re-emergence was mainly against top Muslim clerics and security forces in North Eastern Nigeria. It is on record that they killed the Brother of the Borno State governor and the Brother of Shehu Borno, who is the second highest authority in Islam in Nigeria and they consistently attacked the Nigerian army and policemen posted to especially Maiduguri. In these early days of Boko Haram, there seem to have been a clear target at avenging the massive killings of their members in 2007 by the Nigeria security forces and also killing all those who they considered had betrayed them. The question now is if it is this same Boko Haram that metamorphosed into attacking the UN head office, attacking churches and robbing banks. From Tony Momoh’s interview this seems not to be the case. There seem to be in existence other variants of Boko Haram pursuing their own agenda. Same Sunday, Tony Momoh gave his interview, the Nigerian security agencies announced the arrest of one Mallam Kabir Sokoto, said to be the person behind the Christmas day bombing of a St Theresa’s Catholic church in Madalla, Niger State. The interesting revelation in most newspaper reports on that day was the fact that he was arrested in Borno’s State Governor’s lodge in Abuja. Another interesting revelation was the fact that he had a serving military officer giving him protection during his stay in the Governor’s lodge. Interestingly, the media was filled with stories yesterday of the miraculous escape of Kabir Sokoto from Police Custody. The story of his escape is miraculous considering he was being transported in hand cuffs yet managed to escape while an innocent man was killed in the process of stopping the Boko Haram suspect from escaping according to a report in the Daily Trust of today which carried the report. The paper's report only confirms the fear by many that Boko Haram may be a platform by some politicians to settle some scores or pursue a personal agenda. The December (2011) arrest in Kaduna of one Comrade Nuhu Mohammed, former chairman of Petrol Tankers Drivers Union (PTDU) lends further credence to the existence of a political arm of Boko Haram following developments after his arrest. He was arrested by soldiers who acted on a tip off and caught him red handed distributing guns and ammunitions to his followers according to news reports in several papers. A few days after the arrest of Nuhu Mohammed, there were speculations in the media again that the security agencies have come under pressure to release him. It is not clear what has happened to him almost two months after his arrest. This raises the possibility of the existence of the political arm of Boko Haram which is in existence for some political objective. It would be recalled that the President had raised the alarm that members of the Boko Haram sect have infiltrated his government and the security agencies. The allegation that there is a political motive for the activities of Boko Haram has always been there. In fact, the history of Boko Haram is said to be political as some Northern politicians seeking political office had armed jobless youths to gain political advantage. They lost control of these boys who having been trained realized they are being used and decided to fight back. The authorities then used the power of the state to crush them and hence their attack on the state and political officers when they regrouped. The aim of this political sect of Boko Haram seems to be to use violence as a form of political leverage. They seem to be aimed at instigating insecurity through the types of attacks like the church bombing in a bid to create doubts about the capacity of the presidency to govern. This seem to be to serve as a deterrent in case President Jonathan ever considers a second term presidency or use their ability to control the violence as bargaining tool to shore up their political bargaining power in future elections. There is also a document floating around indicating the existence of a variant of Boko Haram using the violence as a means to penetrate the Nigerian security agencies. This group is the one said to be orchestrating the attacks to make it look like a Christian Muslim fight in order to ignite and exploit the decades old mutual suspicion existing between Nigerian Christians and Muslims. This group of Boko Haram are said to be stage managing attacks along both ethnic and religious lines. Some recent attacks have learnt credence to the existence of this group. Almost a week after the Christmas day bombing of St Theresa’s Catholic Church, in Madalla Niger State, a bomb blast also rocked a Mosque in the centre of Maiduguri killing four people. 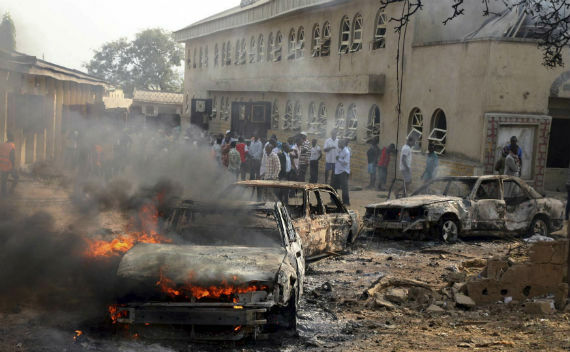 This happened on December 31st, 2011 according to news reports and happened as Muslims were leaving the Mosque almost similar to the way that the Catholic Church in Madalla was attacked. Unlike the Madalla bombing which Boko Haram claimed responsibility, no one claimed responsibility for the attacks on the Mosque in Maiduguri. The Mosque attack look like it was stage managed to present a picture of revenge attacks by Christians on Mosque and instigate a religious crash in one of the most volatile cities in the North. This did not happen however a few days after, Boko Haram is said to have issued a notice asking all non-Muslims to leave the North. They followed this up with attacks that killed about 20 Southern Christians in Maiduguri who were shot dead in cold blood as they were having a meeting on how to bury other southerners earlier killed by the same Boko Haram violence. The aim of this third face of Boko Haram seems to create as much insecurity as possible and use it as a platform to infiltrate the Nigerian security agencies. According to the document which is not authenticated, their aim is to eventually turn Nigeria into a drug route to Europe. There is a fourth face of Boko Haram. This is the criminal face. They are the ones riding on the Boko Haram platform to extort money from people. They are said to be ones robbing banks and kidnapping and threatening people in the name of Boko Haram. It is not unlikely that there are no strict dividing lines between all these emerging faces of Boko Haram. It may be the same organisation metamorphosing into a different face depending on its objectives at a particular point in time. It may also be possible that some of the faces may exist as distinct groups. I suspect that the government also believe in the possibility that the different arms of Boko Haram exist as distinct groups hence the move to pay N100 million compensation to the families of the Boko Haram leader that was killed extra judicially by the army. This may be an attempt to compensate and assuage the anger of the original Boko Haram group in a bid to isolate the other groups and deal with them. Also this different faces of Boko Haram is not different from the structure of MEND at the height of the Niger Delta crisis. It was known that MEND had the political arm headed by Henry Okah which had purely political objectives. They also had the criminal arms operating in the creeks and making money from stealing oil and kidnapping while they had the arm like the MOSSOP that was more focused on self-determination and compensation for the years of crude oil exploitation and environmental damage done to their land. The truth however, is that no matter the face of Boko Haram, they all have something in common currently, the killing of innocent men and women. This must be stopped by the government and all well-meaning Nigerians.